wipe it all out... surf's up! 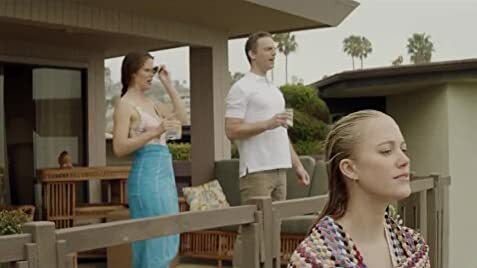 When the Mason family moves to idyllic Palos Verdes, Calif., the father, Phil, loves it but the mother, Sandy, feels out of place among the fake tans and tennis skirts. Phil and Sandy's daughter, Medina, is a loner and outcast at school, while her charismatic brother, Jim, is effortlessly popular. When Medina and Jim take up surfing, they must prove their right to share the waves with the tough Bayboys gang that monopolizes their stretch of beach. The saddest most depressing movie... it's good but if ur ready to be depressed and sad go for it.